Galleria Mall, 2598 East Sunrise Blvd. 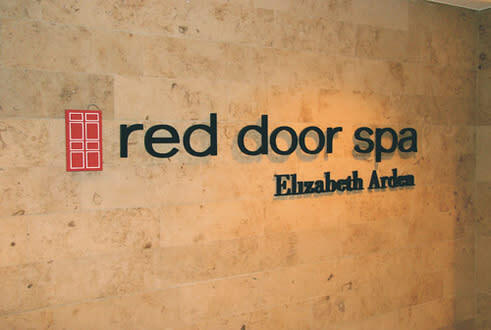 Elizabeth Arden Red Door Spa at Galleria Mall is a full-service day spa which can accommodate guests wishing to indulge in the extensive menu of skin care services, facial and body treatments. The spa spans more than 9,000 sq ft and includes 17 treatment rooms, a relaxation room and café. New to the Red Door Spa is the Thai Yoga Bodywork Massage which blends the ancient art of Thai healing with the benefits of Yoga to elevate overall fitness levels while balancing mind, body and spirit. Ditch the dirt. Make healthy skin routine with a deep pore cleansing, expert extractions, and custom products. Plus take it up a notch by selecting one of our advanced technologies for a tailored treatment for your skin type. Choose from LED Therapy, Oxygen Infusion or Microdermabrasion. The ultimate in relaxation. Unwind with a full body massage, a warm cushion to soothe back muscles, and a therapeutic scalp massage. Our spa manicure and pedicure services promote ultimate relaxation by integrating skin exfoliation and a hydrating massage. A customized foot bath, and paraffin treatment seals in moisture for softer hands and feet. Nails are polished to perfection with our luxury nail care services.